A month or so ago I teased y’all about a project I was working on with Lizzy House’s Hello Pilgrim. Well, it’s done! And I am pretty darn happy with the results. 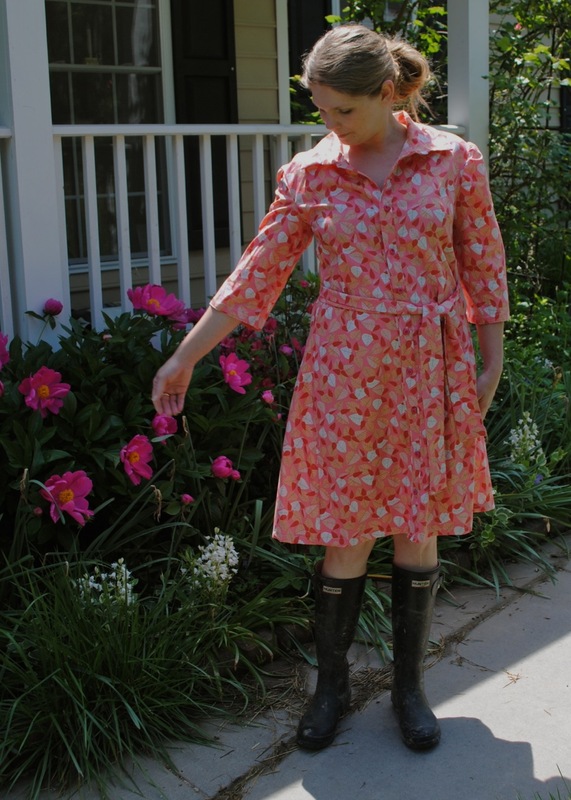 The pattern is Sew Lisette’s Traveler Dress, with mods. 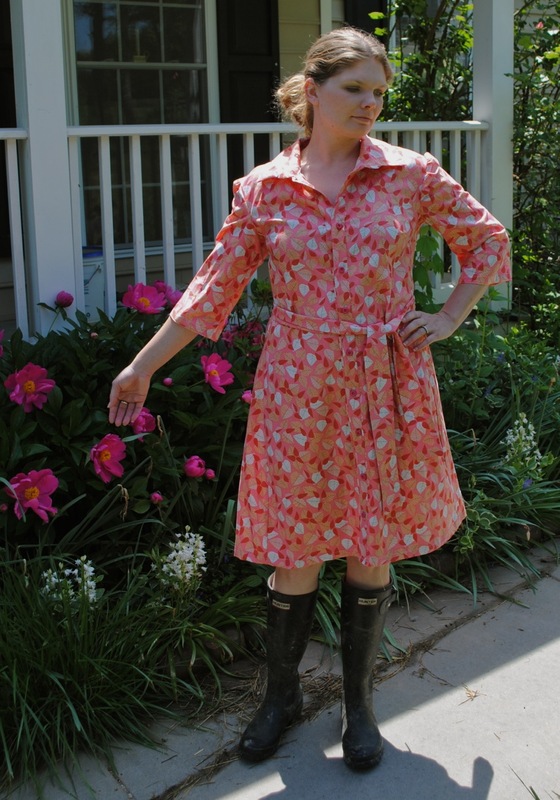 The shirt dress pattern was the closest I could find style – wise to what I had in mind, but the skirt wasn’t quite full enough. I didn’t want a straight shirt – style, nor did I want a too – full skirt, so I added a slightly flared panel on the sides. My only complaints are that I made it not – quite long enough (another inch would have been my perfect length) and the top isn’t quite as fitted as I’d like around the collar and underarms. Otherwise I am quite pleased with it. It’s darn comfortable and I adore the fabric, so I think it will get plenty of wear this summer, especially as it works well with my farm boots! Then again, Hunter boots do look good with just about anything! it’s true – hunter boots look good with everything! and so do you, my pretty! I think everyone needs a dress in this print. It’s my fave. And you and your dress look great! Thanks, Lizzy! I agree – everyone needs a dress in this print! love it! can’t wait to make a skirt in this fabric. I wish I had your skill! The dress is lovely, as are you!